Brian Spagnola has been president of the Amsterdam Mohawks since 2003. As a lifelong Amsterdam resident, he has dedicated himself to making Shuttleworth Park into a top venue for baseball in the nation. He has led the Mohawks to league championships in 2003, 2004, 2009, 2010, 2012, 2013 and 2014. He has also helped the Mohawks turn into a leader in game atmospheres as well as attendance. Spagnola began his affiliation with college baseball coaching at then NCAA Division II power The College of Saint Rose. He has served as an assistant coach there under Bob Bellizzi from 1991 to 2003 and also was the head coach of the Schenectady Mohawks from 1991-1993. His 1991 team had eight players on it who later went on to play professional baseball. He also served as an assistant coach with the Mohawks in 1990 and 1994. He is currently third in line for coaches with the most wins in Mohawk history. In 2003, he stepped away from Saint Rose to become the head coach at his alma mater, Amsterdam High School, where in just a few short years he turned the program into one of the finest in the area. He lives in Amsterdam with his wife Jill and and their family Marissa (21), Max (17), Mackenzie (15), Andrew (13), and Amelia (6). David Dittman joined the Mohawks in 2007 and in one short season was instrumental in helping double attendance figures and create a more business friendly environment with the Mohawks organization. Dittmann previously owned the Newport Gulls and helped start the Vermont Mountaineers and Plymouth Pilgrims of the New England Collegiate Baseball League. He was instrumental in the success of all of those teams. He also owned the Peninsula Pilots of the Coastal Plains League. These teams all led their respective leagues in attendance or showed tremendous growth during Dittmann's tenure. Earlier, Dittmann owned an array of minor league team baseball teams, including the New Haven Ravens AA team. He grew up around baseball as his father was the corporate attorney for the Philadelphia Phillies for years. Dittmann resides in Newport, RI. 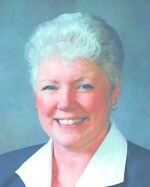 Pat was added to the Mohawks staff in 2015 after her retirement as publisher of The Leader Herald newspaper. She will be a liaison between the Mohawks and all corporate clients and as well serve as a marketing consultant for the team. Contact Pat if you are a corporate sponsor and have concerns regarding tickets, tables, etc. for your night at Shuttleworth Park. She resides in Amsterdam with her husband Skip. A Mohawks fan since 2004, Jon's first position with the team was as a photographer in 2006. He then volunteered to assist in stadium operations from 2009-10. In 2011, he became a marketing and promotions intern for the team. In 2012, he was hired as the Director of Marketing and Media Relations. This position continues today; he currently coordinates all baseball media releases during the off-season and is the team's exclusive graphic artist. Jon was an assistant coach and scorekeeper for the Broadalbin-Perth High School for 6 years and had his jersey retired at a Mohawks game in 2013. He was also the Public Relations intern for the Adirondack Phantoms of the AHL for the 2012-13 hockey season under the direction of Bob Rotruck. 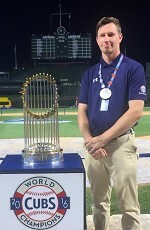 Jon grew up in Broadalbin, NY and currently resides in Chicago, IL working for the Chicago Cubs and Chicago Bears Guest Services Departments. Miguel is entering his fourth season with the Mohawks and is in charge of the grounds and stadium operations. He also serves as a Sales Rep with the Mohawks and an occasional 'jack of all trades'. His love for the Mohawks and the stadium is always on display in his work and dedication to the organization. For many years now, Bob has been announcing players during baseball, football and basketball games in the Capital District area, while providing marketing information to fans on local promotion activities. Bob joined the Amsterdam Mohawks at the beginning of the 2007 season. Since 1984, Bob has been the public address-announcing-voice of the Amsterdam High School Varsity Running Rams basketball team. Prior to that, he announced basketball and football for Bishop Scully High. From 1987 to 1995 Bob served as public address announcer for the Albany-Colonie Yankees AA level baseball club, and then the Albany-Colonie Diamond Dogs professional baseball team at Heritage Park in Colonie. Each September through December during 1995 thru 2004 he was the public address announcer for Union College NCAA football in Schenectady. Bob originally started his baseball announcing "avocation" at Veterans' Field and then Shuttleworth Park, right here in Amsterdam, in the 1980's, while his sons were playing Wee Mens, Babe Ruth League and high school-level ball. For several seasons, Bob announced Section 2 and Regional High School Baseball Championship games at Bleeker Stadium in Albany and at Heritage Park. Bob is retired now from his "day-job" of assistant director of personnel at the State Labor Department and resides with his wife Betty in Perth. Carla joined the Amsterdam Mohawks in 2011 and has been serving as our athletic trainer ever since. During the year she works with local schools. Carla graduated from Russell Sage College with a bachelor of science in athletic training. 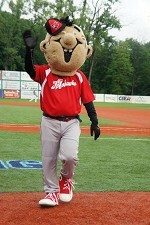 A lifelong Mohawks fan, Mojo became the team's official mascot in 2006. It's unclear how old Mojo is or where he came from, because he won't tell anyone. In fact, he barely says anything at all. It is believed that Mojo lost his voice cheering for the Mohawks after they won the championship in 2003. Since then, he has enjoyed livening up Shuttleworth Park and loves the between inning games and dances. In 2006, right before signing on with the Mohawks, Mojo tried out for the second season of Dancing With The Stars. The producers of the show felt that Mojo was "too famous" and his presence would be "unfair to the other stars." The show instead picked ESPN analyst Kenny Mayne, who performed a disastrous cha-cha and was the first contestant eliminated. Since then, Mojo has made it a point to perform the Cha-Cha Slide at every home game to show off his superior dancing skills. Mojo always invites the kids and players to join in the on-field dances to show that he can share the spotlight. Players like Ricky Breymier (Pittsburgh) in 2008 and Rich Vrana (Marist) in 2013 have come on and stolen the show, but Mojo loves enthusiasm and loves all the fans that attend the games. If you see Mojo at a game or around the city, be sure to give him a high-five for good luck.